We are dedicated to the sport of handball. 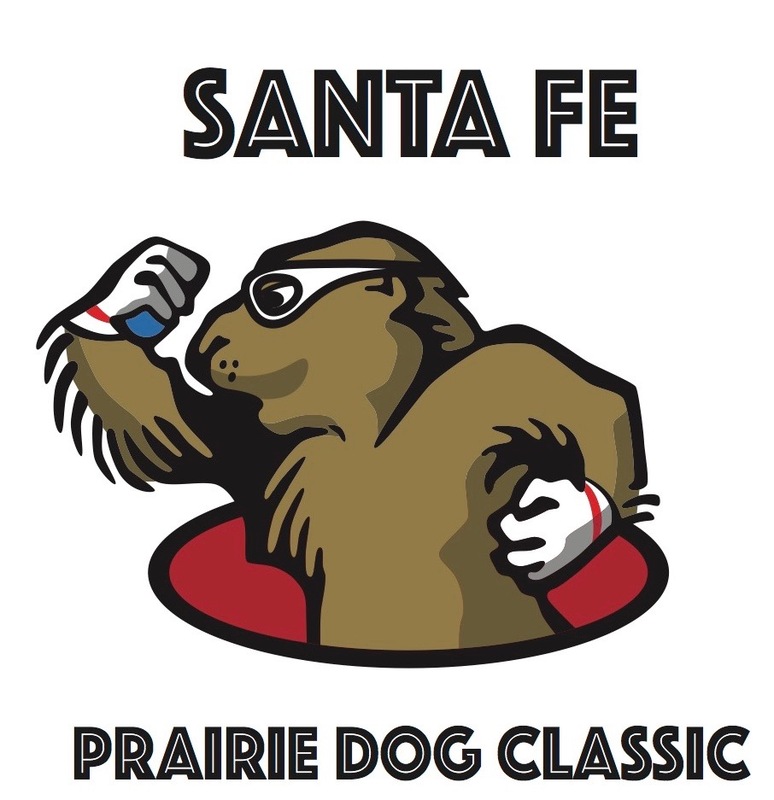 The plans for the 2018, 16th Annual Santa Fe Prairie Dog Classic Handball Tournament have been modified, because of facility difficulties. We apologize for any inconvenience we may have caused. We will be holding a "mini" Prairie Dog Classic" in the form of a one day (July 14, 2018) "Round Robin" style tournament. This will be a doubles tournament with 16 entrants. Each entrant will play 6 matches, each match shall consist of one game to 21. The entrants will play from 9am to 1pm at the Pojoaque Pueblo wellness center. There will be no entry fee required to register and there will be a free lunch afterward at Gabriel's Restaurant (located only 10 minutes north of Santa Fe at Exit 176, Hwy 285). Your donations to the Santa Fe Handball Association will, of course, be graciously accepted at the event. AND THE WINNER WAS ANDREW MARTINEZ, the only player to win all six matches for a total of 126 points. 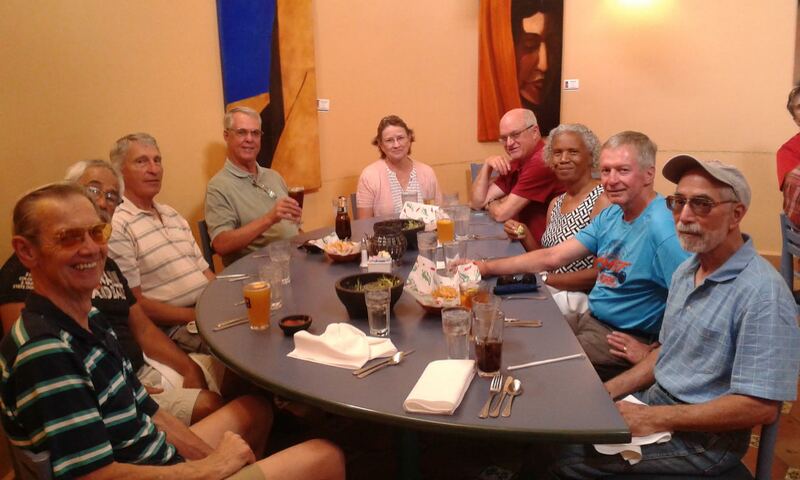 The luncheon banquet was held at: GABRIELS RESTAURANT. A good time was had by all!! Rich Gilliam, Mary & Carl White, Rhea and Cliff Dahm, and Dan Cimino. 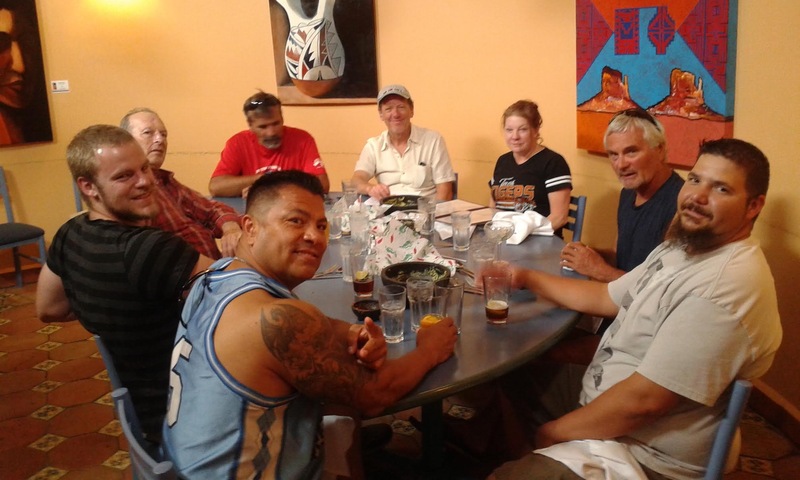 Not in photo - Phil Vergamini (taking the photos, should have done a selfie). Contact: Robert McMorrow, Tournament Director, call (610) 888-4785 or email moc.q|rjmgr#moc.q|rjmgr (subject “HANDBALL”) to sign up.